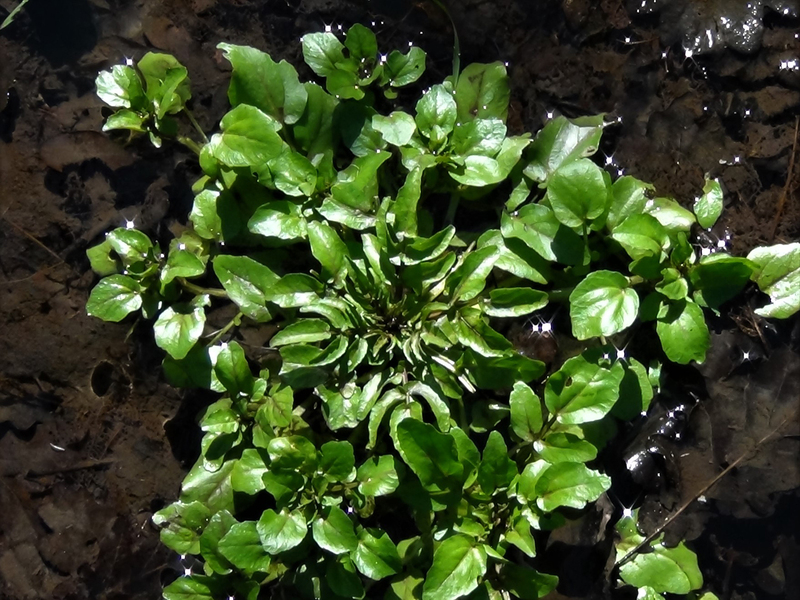 Watercress looking tasty but remember it must be cooked before consumption to safeguard against liver flukes. 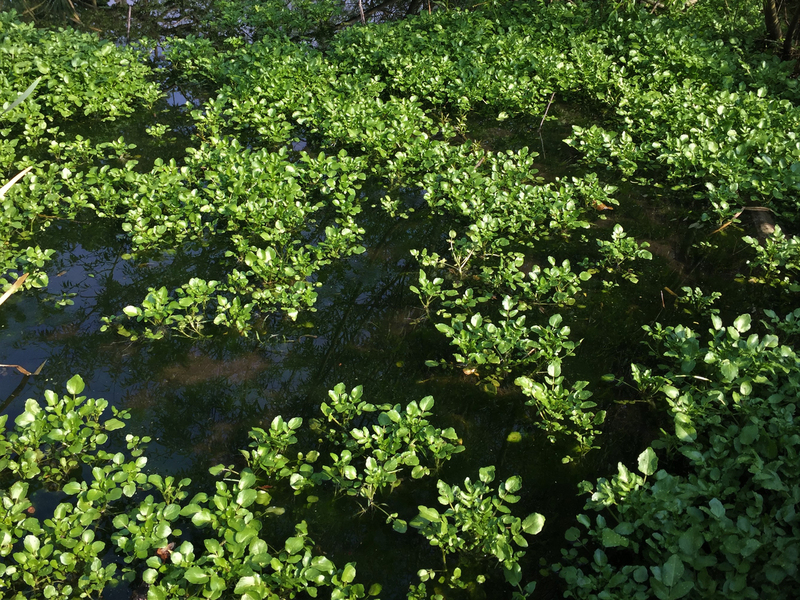 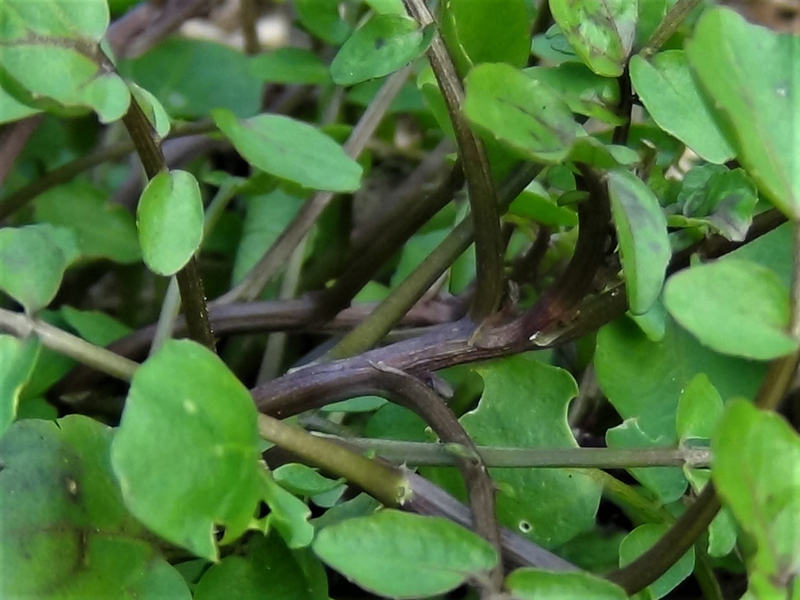 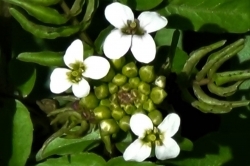 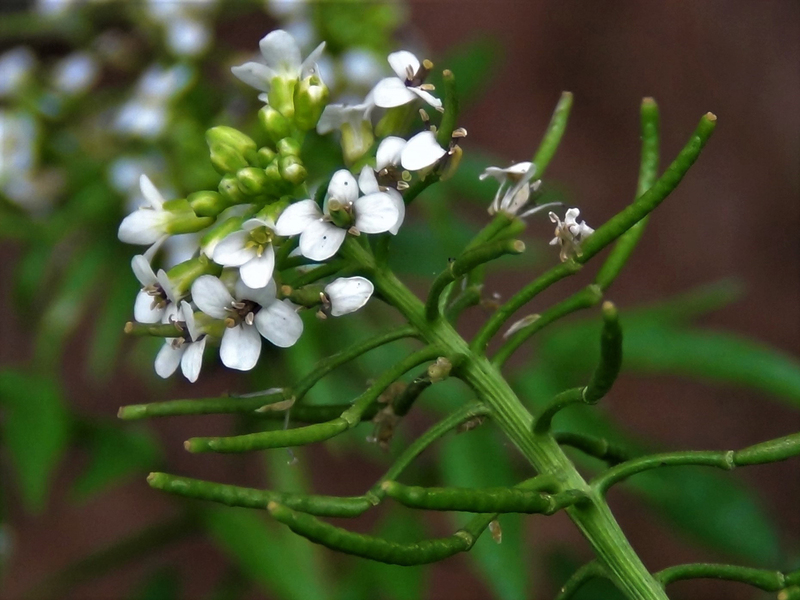 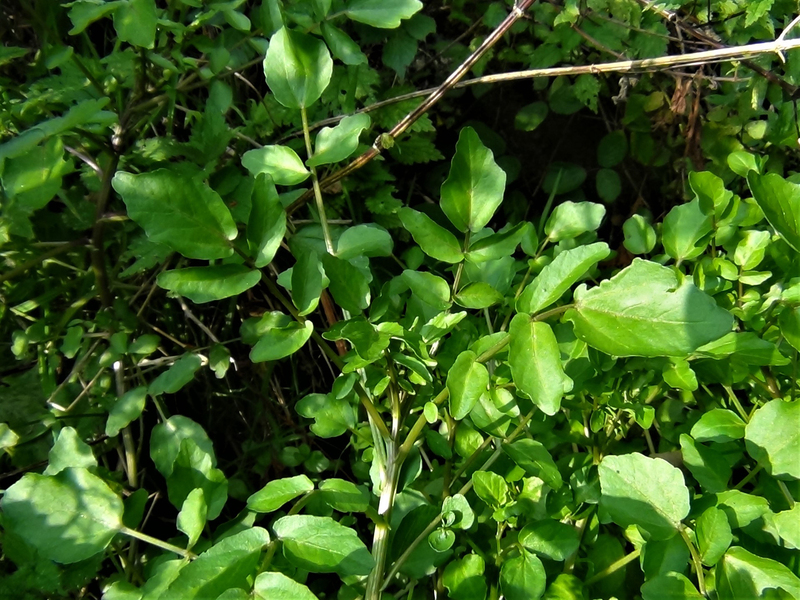 Watercress was one of the first green vegetables we have evidence of early humans eating. 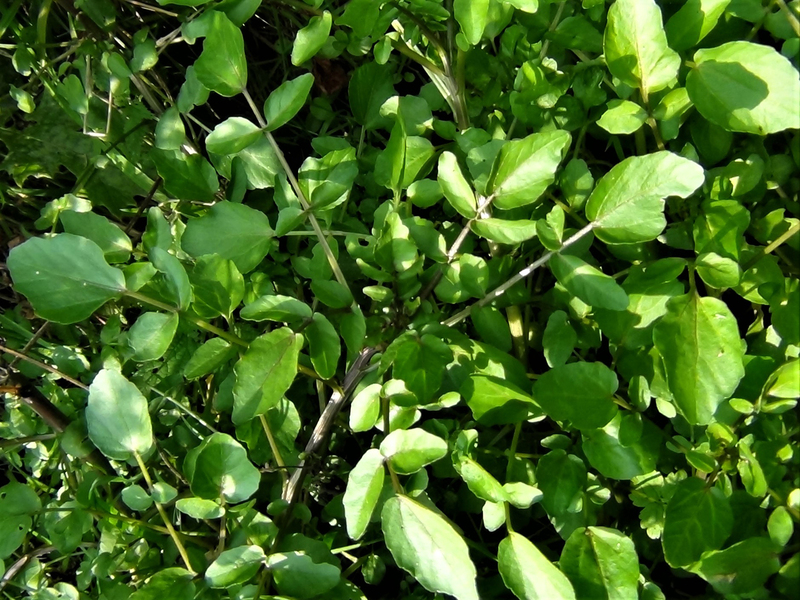 Opposite oval leaves with a smooth or wavy margin and a larger terminal leaf at the end. 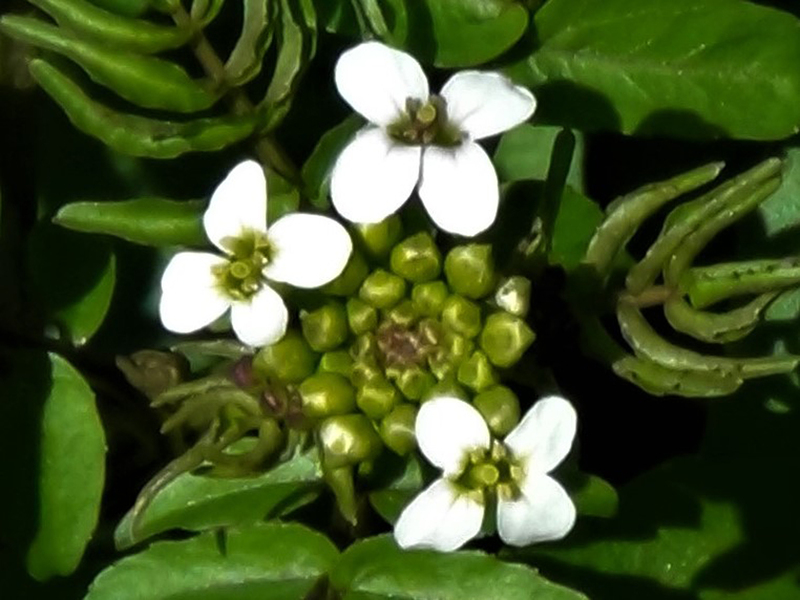 A small cluster of white cruciform flowers with six yellow stamen which will mature into small seed pods. 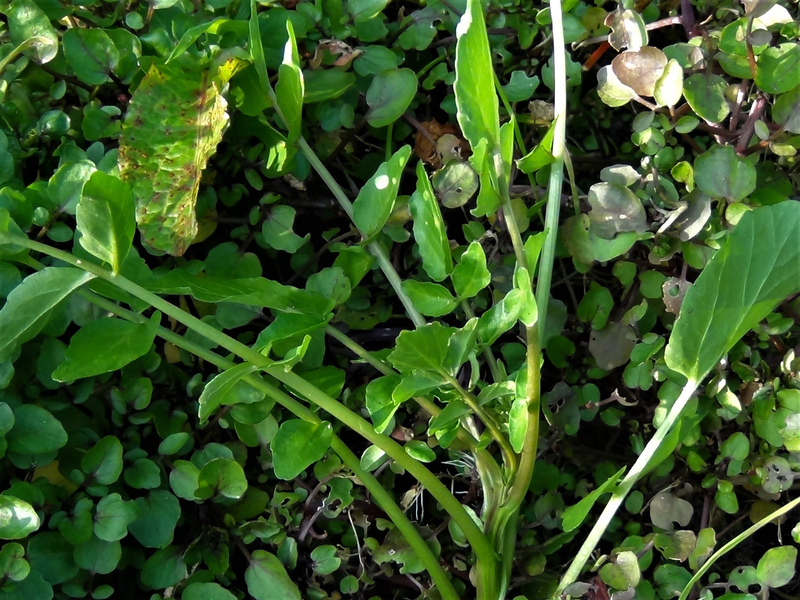 Small green pods looking similar to pea pods. 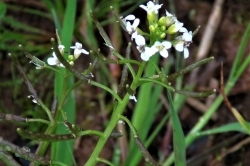 Hollow and usually floating although they can be erect or when lying along the ground can develop rootlets at the leaf nodes. 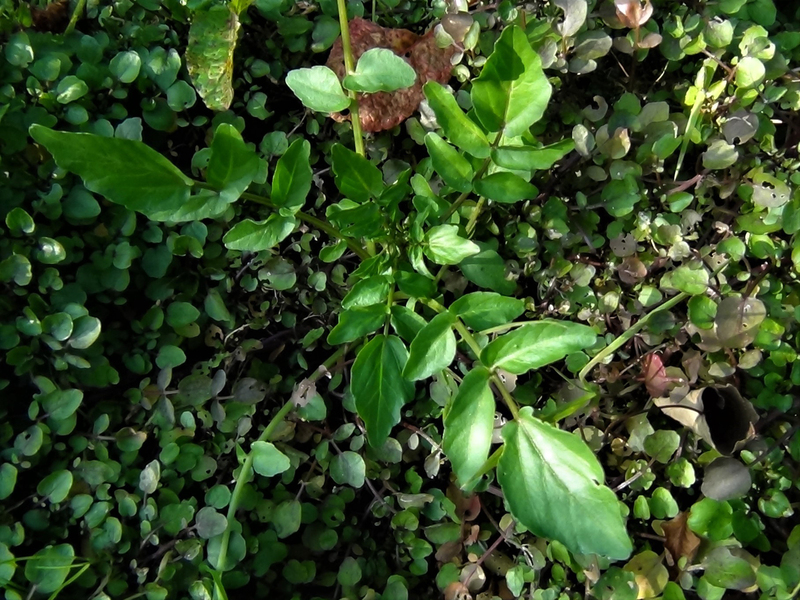 The stems are usually green but can be red to purple. 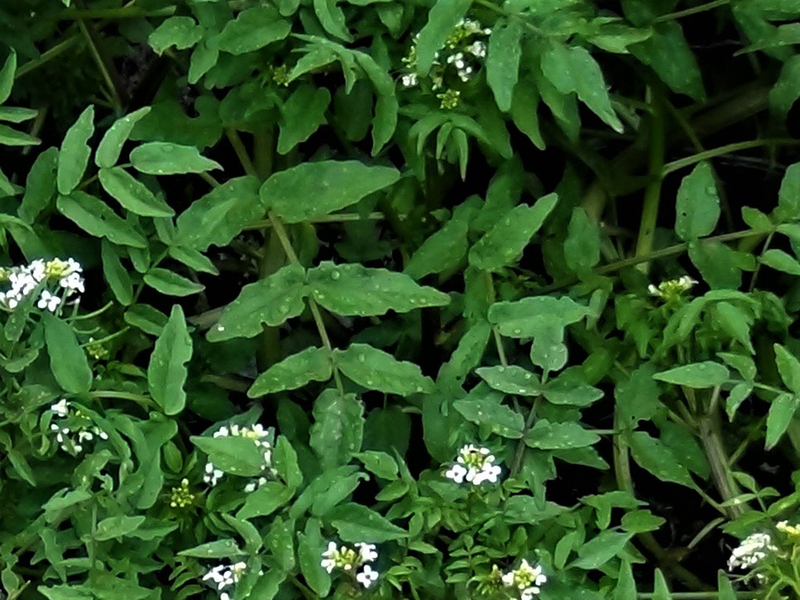 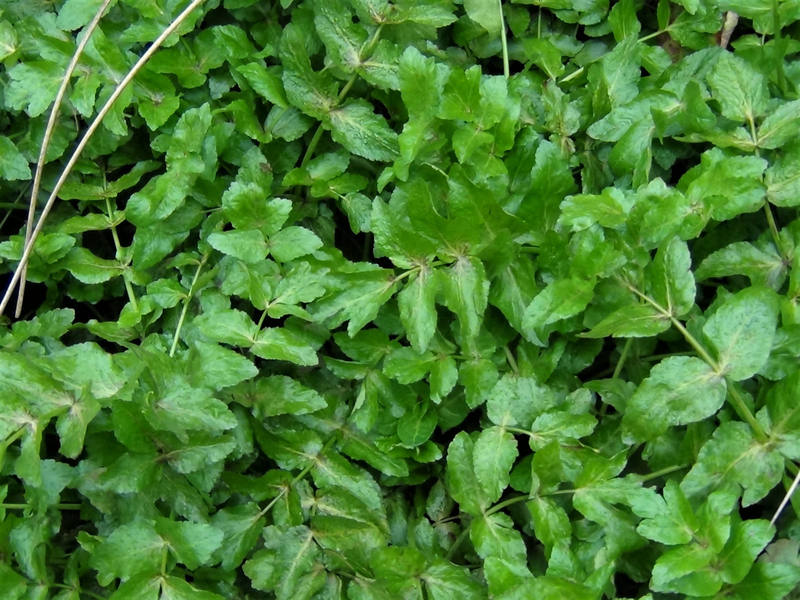 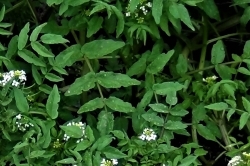 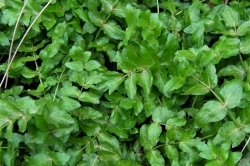 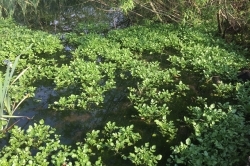 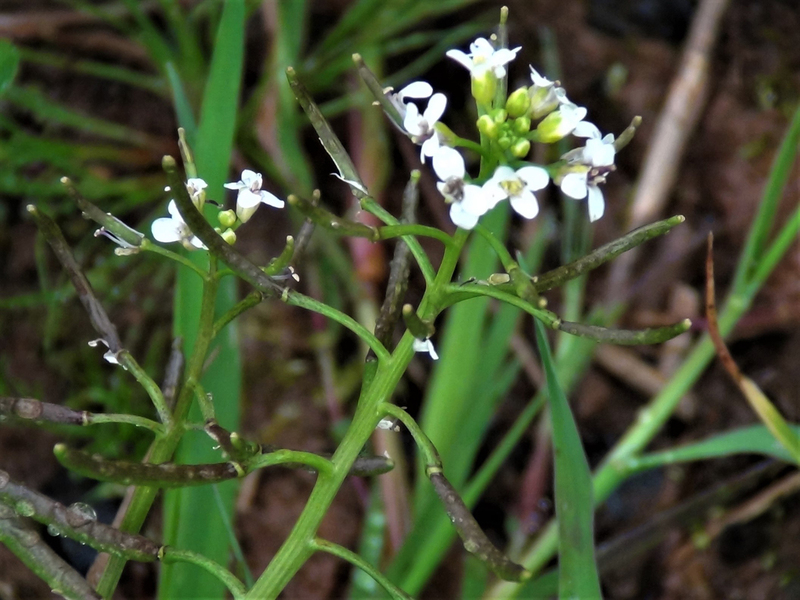 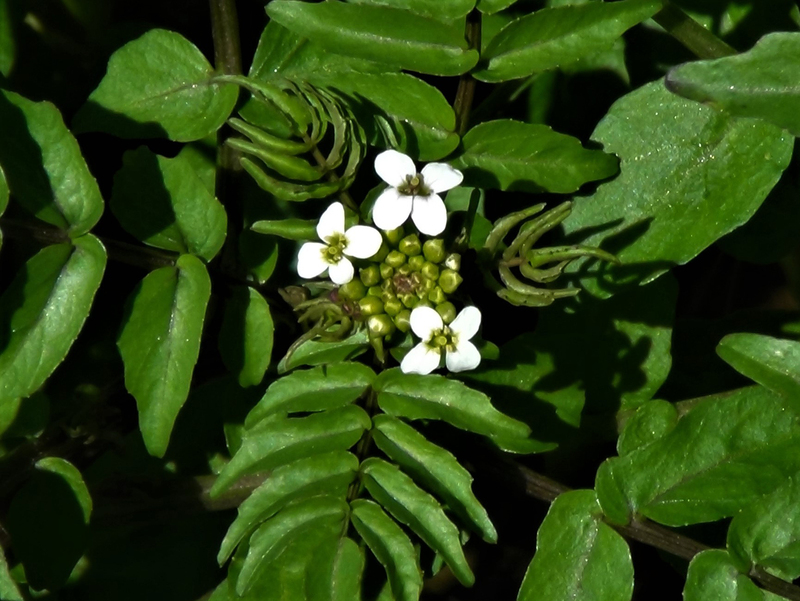 Fools Watercress, pictured, although a crush and smell of the leaves of Fools Watercress will reveal a strong smell of carrot, it is also edible so confusing the two is not a dangerous mistake to make. 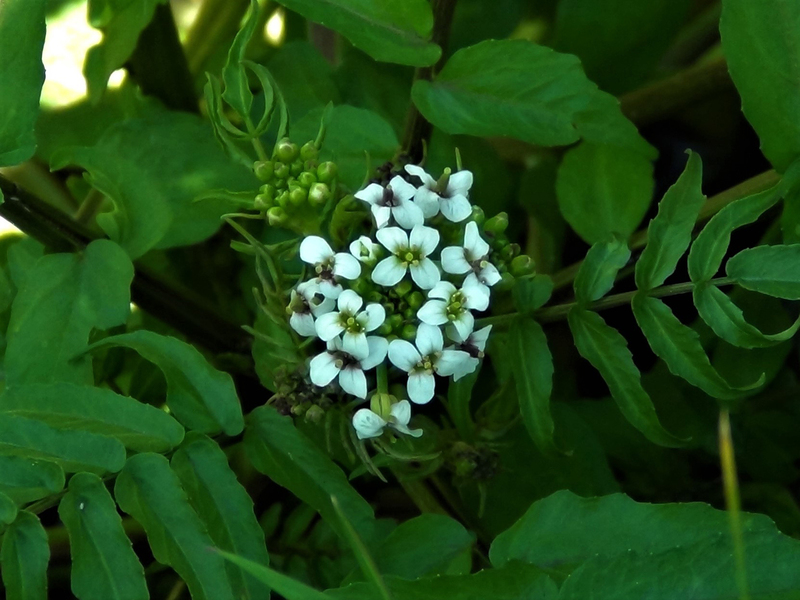 Lesser Water Parsnip, Berula erecta is more upright, smells of parsnip and has rings around the stems at the leaf nodes but is not poisonous. 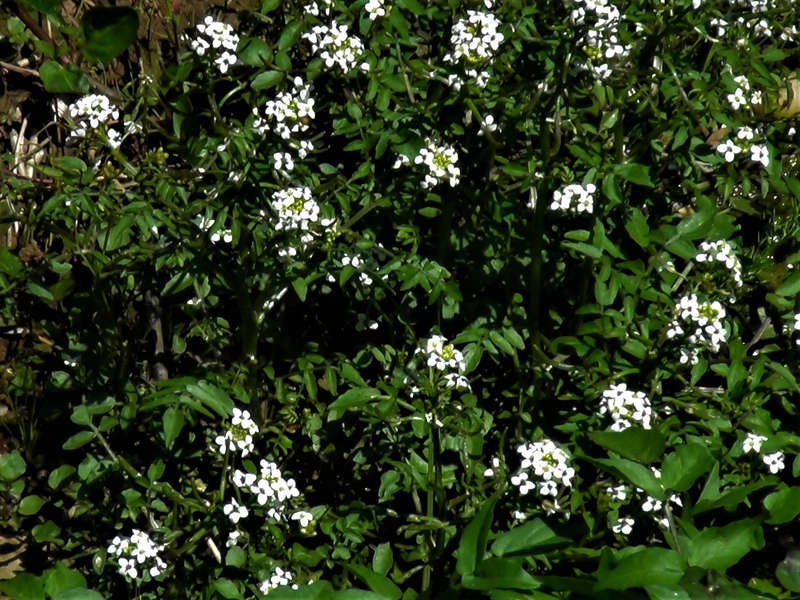 Like cress or a bit peppery. 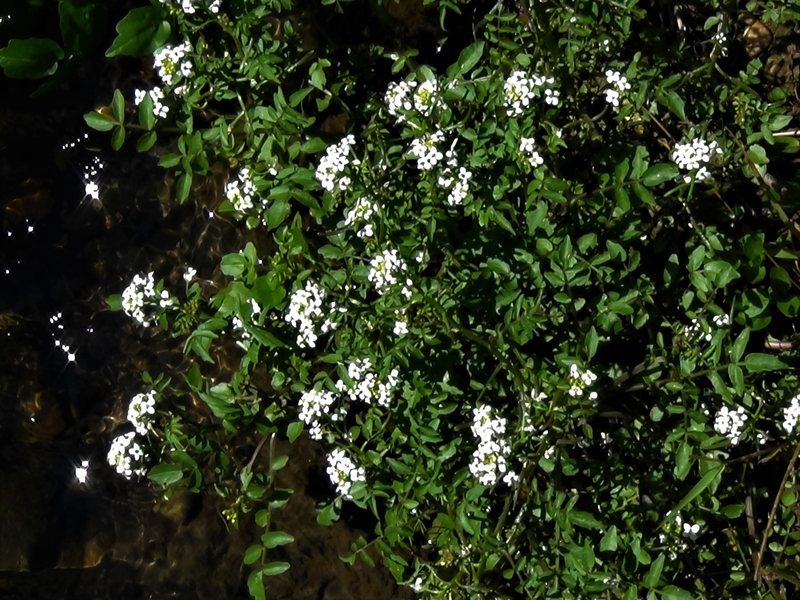 Fairly common but not as common as Fools Watercress. 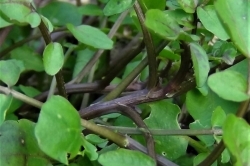 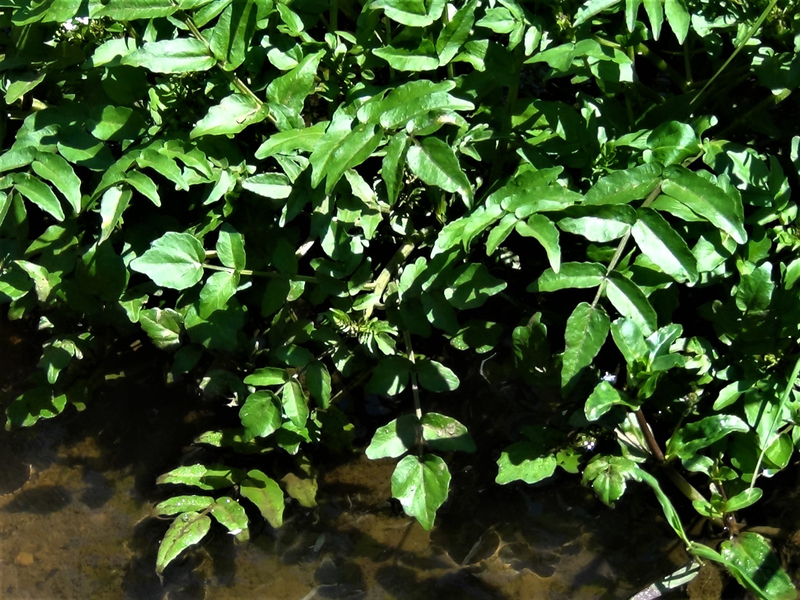 When collecting Watercress from the wild it must be cooked as out of site upstream there might be sheep and if so there is the potential for liver flukes, which can cause fascioliasis, a nasty liver disease. 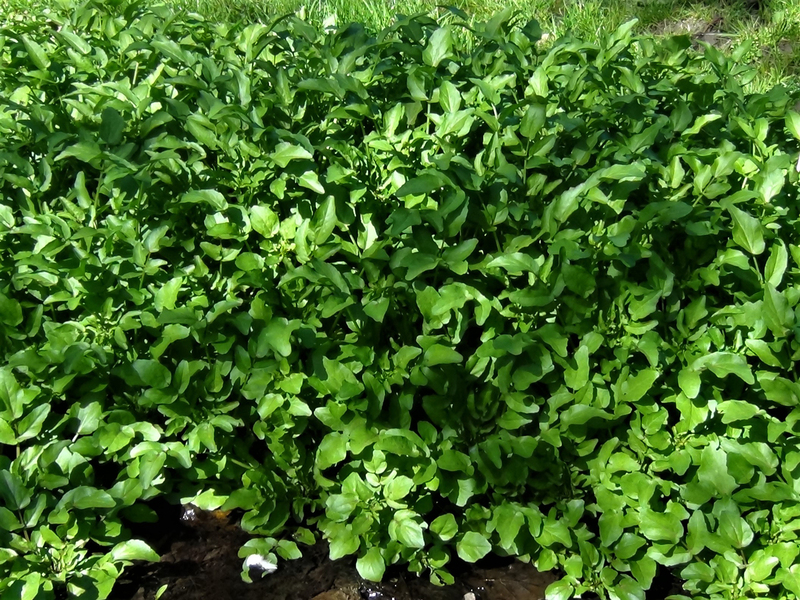 Watercress contains iodine and high levels of vitamin K so should be included in your diet although it must be cooked when found in the wild. 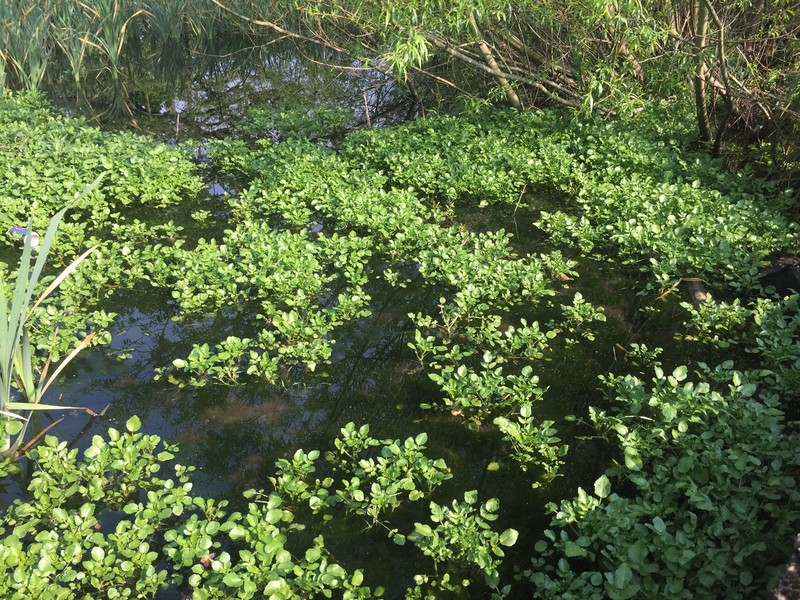 I belong to a fly fishing club in the U.K. and this hot (2018) summer there has been so much watercress on our rivers that trout fishing in August through to October has been almost impossible to carry out. 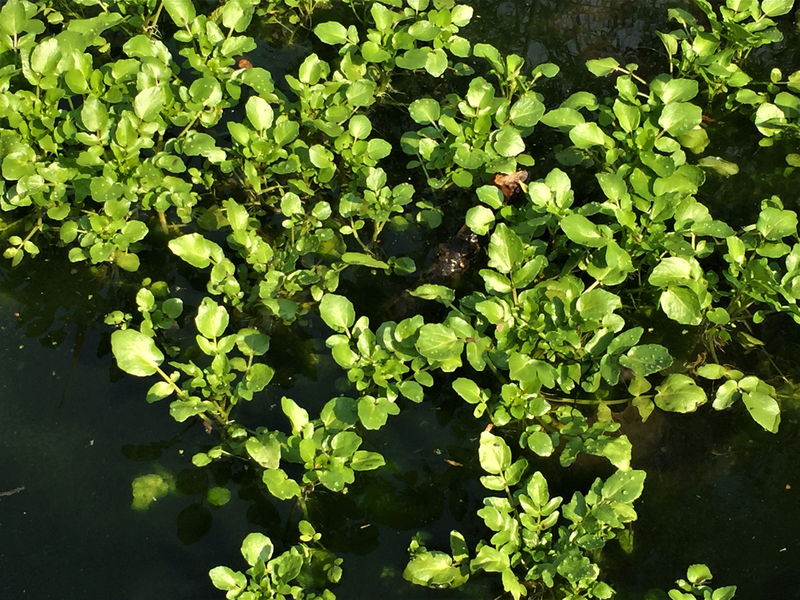 What we are concerned about is if we leave these enormous tranches of watercress in place – will the seedpods germinate and will we get the same profusion of watercress in the same places every year now? 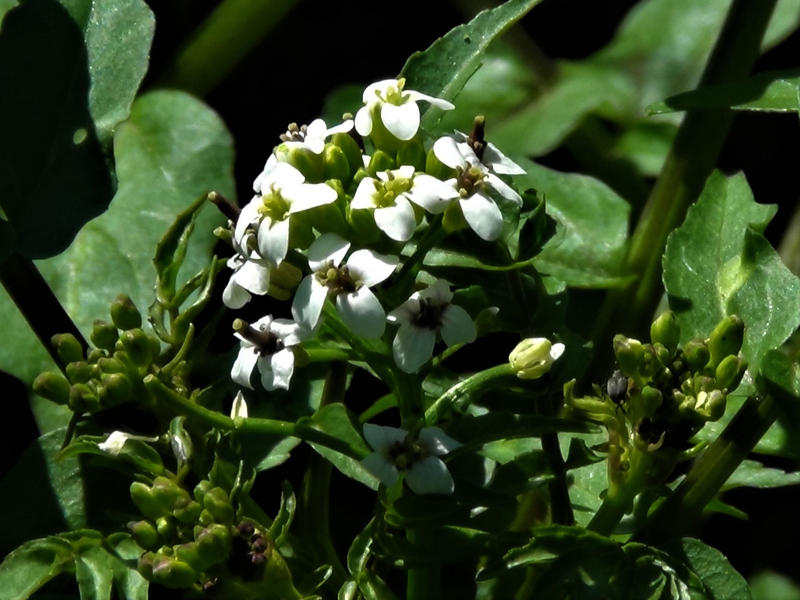 Last summer was quite a bloom due to the weather; I would expect it to continue growing in similar quantities though, more seeds in the right conditions = more plants.